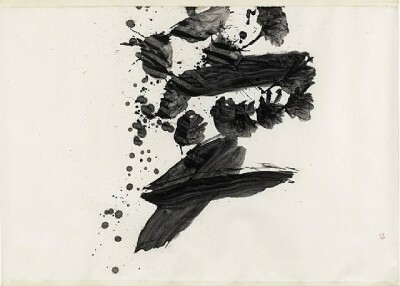 Inoue Yuichi, was a Japanese avant-garde calligrapher, who explored the human’s primitive impulse on the conflict between authority and everyday-life. 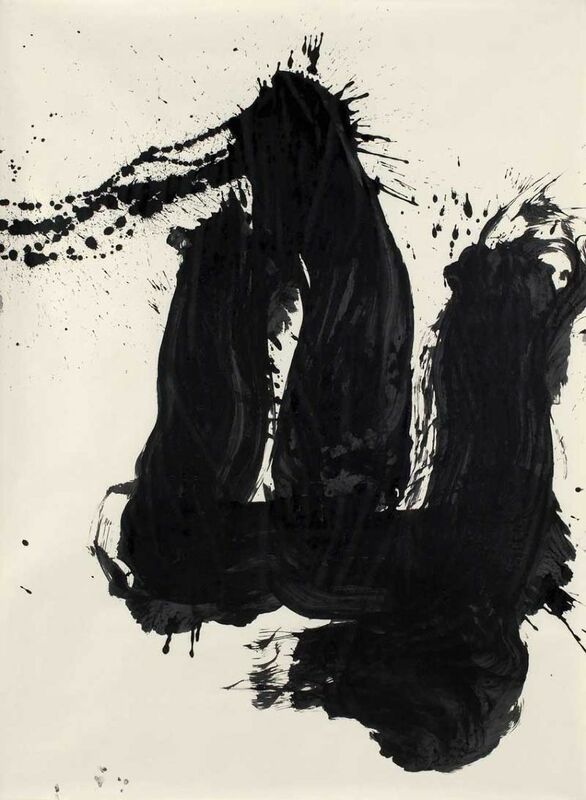 Yuichi became widely known to the world after the 4th São Paulo Art Biennial in 1954. 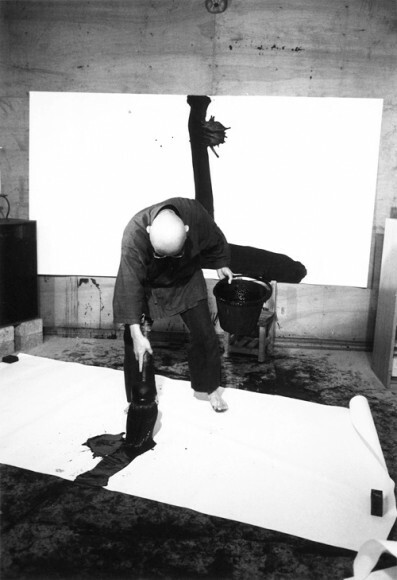 Yuichi was at the forefront of a generation of avant-garde Japanese artists, who came to national and international prominence in the postwar period, following the collapse of the conservative value system. 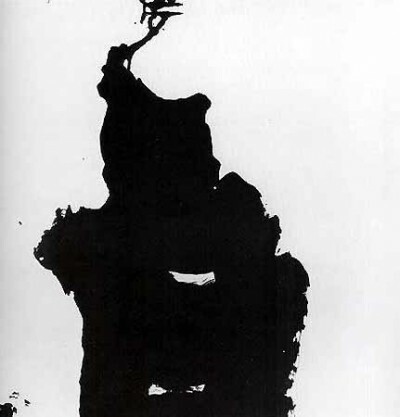 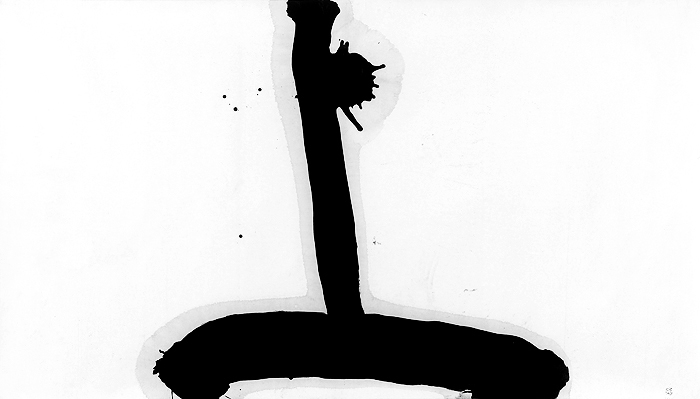 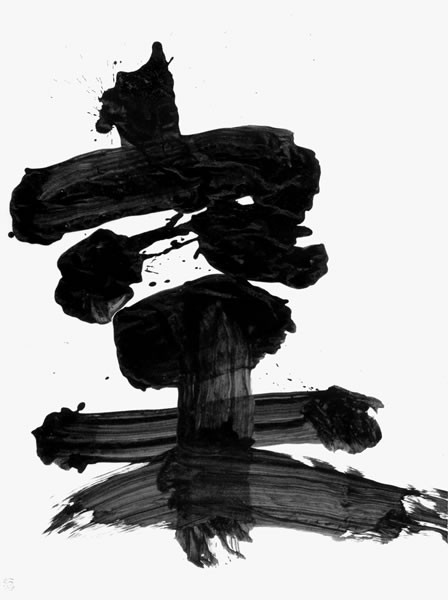 With other like-minded artists, Yuichi co-founded the influential artists’ group ‘Bokujin-kai’ in 1952. 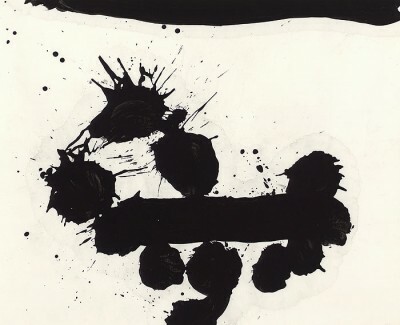 Yuichi significantly developed an innovative form of sho that would contend with the wide-spread Euro-American abstraction expressionism in the modern art history. 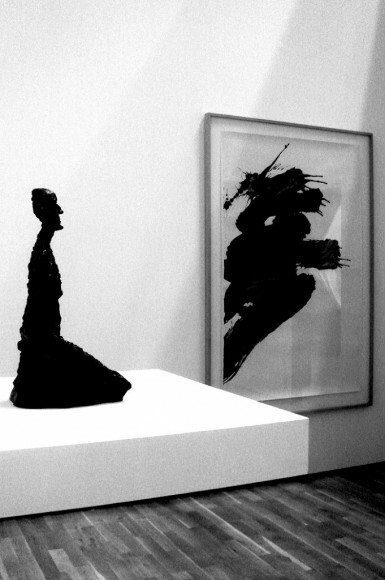 His works were included in a number of major exhibitions in Japan and abroad, such as the 1954 ‘Japanese Calligraphy’ exhibition at the Museum of Modern Art, New York. 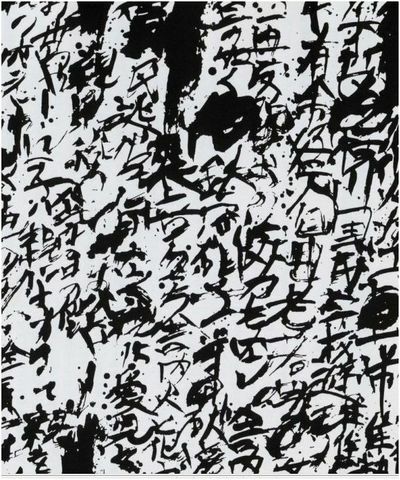 After experimenting with non-textual abstract art and using enamel paint rather than the ink of calligraphy tradition, Inoue Yuichi then realized that once calligraphy strays from its textual base, it seizes to hold any value for existing. 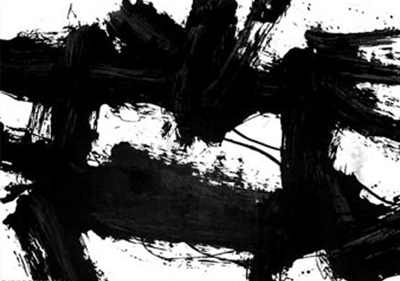 This realization led him back to working with brush and ink and the development of his own unique art rhetoric. 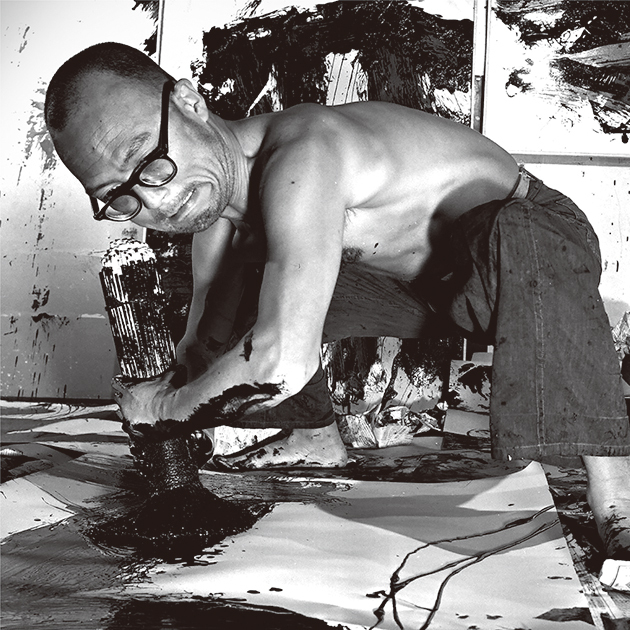 The larges sheets of paper that Inoue worked with by physically immersing himself in are documentations of the artist’s physical movements, energies, and also the spiritual states that he was in during those moments. 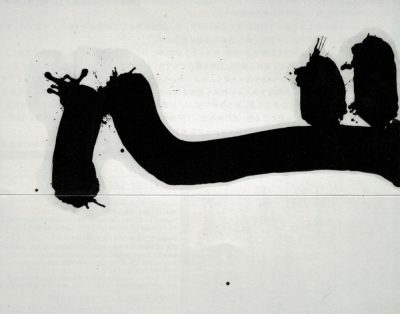 “Sho (Calligraphy) is said to be the expression of lines but the complex and delicate secrets of Sho lie in the fact that lines realize themselves in the action of writing characters. It is no that lines are integrated into characters, but that lines are realized of themselves in the action of writing characters.” – Inoue Yuichi.